Join us for our third annual March British Tea Time. This year, enjoy a shamrock twist! 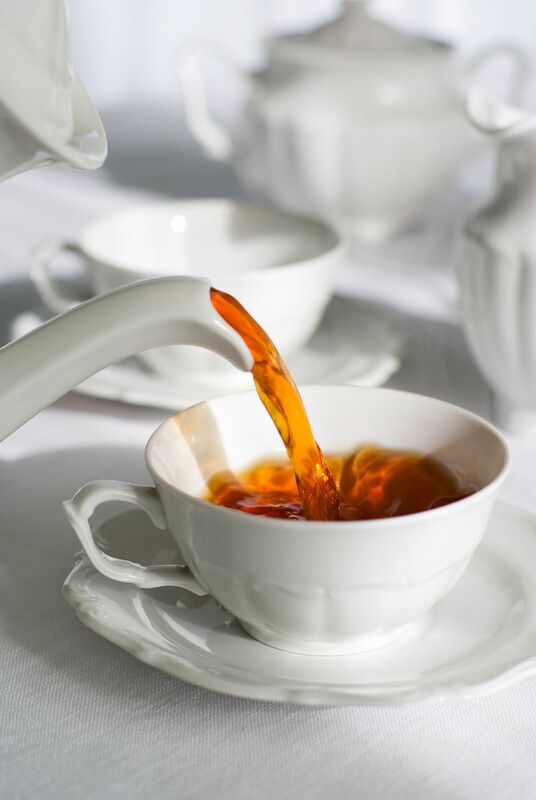 Never knowing what to expect from our Missouri March season...the teashop family looks forward to the classic tradition of a beautiful and elegant Royal English Tea Party in the middle of this typically blustery, grey season. Sit, savor and drink in cups of rich premium tea, milk and a tasty hand crafted traditional full tea menu. Always complete with crumbly scones topped with dollops of rich cream. Go ahead and gather that group of friends who simply need time together to laugh, reconnect, and slow down. Visit the Tea Shop before or after your tea party at 9 W. Franklin St on the Historic Liberty Square. Intimate seating, old friends combined with new friends, tucked inside the 100 year old home in Downtown Liberty, Missouri. 5,000 square feet of original woodwork, fascinating history, each owner's love and impeccable maintenance are still a part of 'this old house'. We are not a tearoom or a restaurant; Anna Marie's offers unique seating through out the first floor of the 1913 home, different sized tables and in different rooms. We will not break up your group but might need to combine smaller groups. Invite your friends and fill a whole table or look forward to possibly meeting new friends in a relaxed tea setting. Email us at selena@annateashop.com with seating questions or names of people in your party. Tea tables are first come first serve so purchase tickets early. Your loved ones and our loved ones. We are a small family and there is a good chance you might meet all of us when you come to tea in our home. We are looking forward to having you. What is included in a Tea Party? Questions? Email selena@annateashop.com and let us know names of those to be seated with you. Sign up for our Email Newsletter to receive Upcoming Tea Party Dates.